Worried about a challenge to your will or estate plan? Have children by multiple marriages? Are you disinheriting one or more heirs? Are your heirs not being treated equally? Then the chances of a will challenge are dramtically higher. For more information on the many ways that you can protect your will, trust, and estate plan from litigation and challenges, visit my newest video blog artcile on the topic of will attcks and challenges. Click here for specific tools that you can use to limit or prevent successful challenges to your will, trust, or estate plan. practical ways to preserve and protect your legacy. 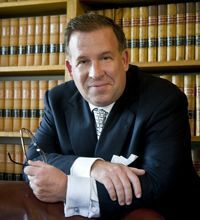 David Frees maintains offices in Malvern, West Chester, and Phoenixville and serves clients throughout Pennsylvania and especially in Chester County, Bucks and Berks counties, Montgomery, Delaware, and Philadelphia counties.